We boarded the ships tender at 9am for transport to the port of Guernsey (St. Peter Port). Our tender arrived at 9:35am near Castle Cornet, which is located directly at the pier. 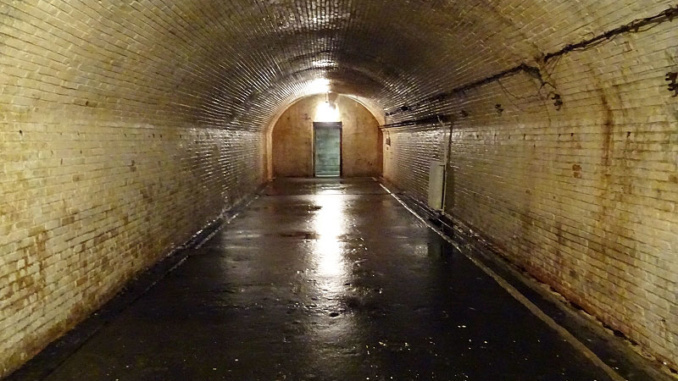 Our tour for the German Military Occupation Hospital and Museum began shortly afterwards. After a short drive in a 32 passenger Van we arrived at the German Military Occupation Museum, a privately owned entity overseen by two brothers. 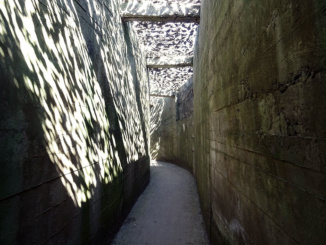 We entered the museum through an area camouflaged to blend with the surrounding scenery. 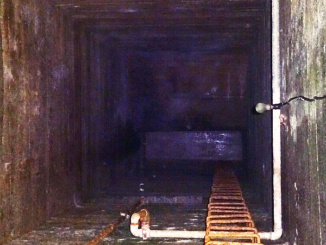 Inside the facility were a series of dark, eerie, and damp corridors. 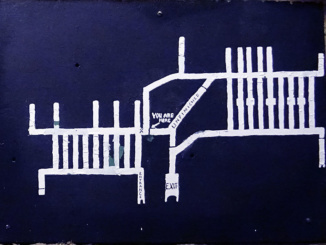 Surprisingly it was quite a labyrinth of intersecting rooms that stretched out for over a mile. 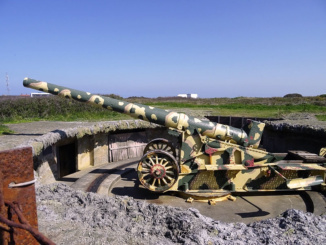 The German occupation began during WWII when England decided not to defend Guernsey against the advancing German troops. Instead, the Inspector of Guernsey surrendered the Island Nation peacefully on July 1, 1940. This began a 5 year German occupation of the island and torment for its citizens. 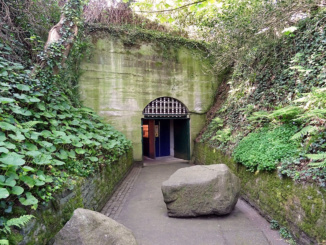 The hospital tunnel network was dug out of solid rock by slave laborers from Guernsey over a 3-1/2 year period. 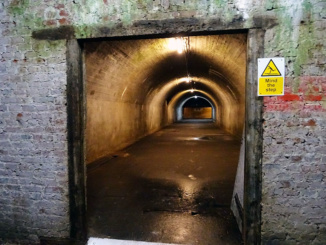 Construction commenced at first occupation and was designed to accommodate 800 casualties. 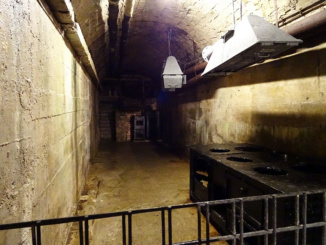 The hospital was complete with a kitchen, air shafts to the surface, ammunition stores and a mortuary. 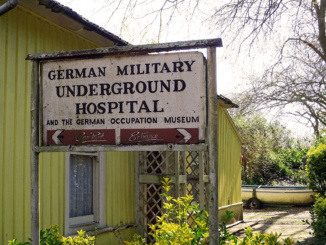 The hospital itself saw limited use but became very active on June 6, 1944 after the Normandy landings where German wounded were bought in from Cherbourg, France. Bricked Ward (future gas use)? 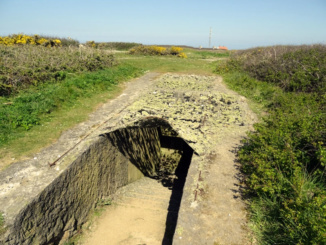 Next we headed to the coast to visit the large gun emplacement bunkers of Battery Mirus dug and left behind by the Germans. 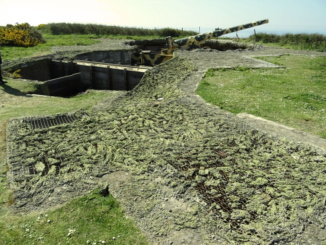 This was quite fascinating to see as the sheer size and operational capabilities of these large anti-aircraft gun encasement’s were mesmerizing. 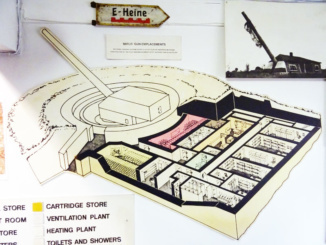 The complex though barren, included rooms for ammunition, cartridges, an engine room, fuel storage, a heating plant, showers and troop quarters. 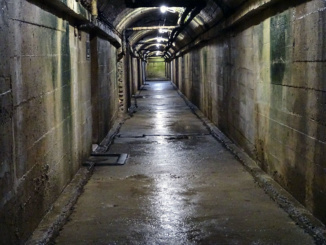 The tunnel network still had several areas that were camouflaged as it would have been during WWII. 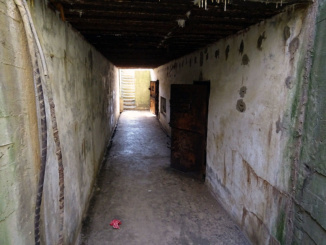 According to our guide, there are many such compounds on the island. 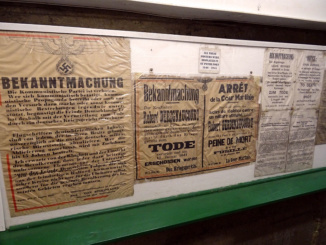 Our next stop was the German Occupation Museum which came filled with tons of memorabilia related to the occupation itself. 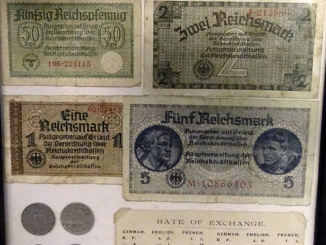 Apparently treasure troves of articles were left behind on liberation day May 8, 1945 because the German troops were ordered to leave immediately. 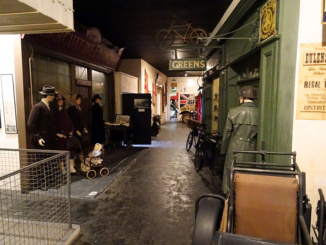 There were many rooms in the museum dedicated to the occupation that included a military clothing room, military equipment room, fortress room, kitchen and a mock street of the time period nicknamed Occupation Street. 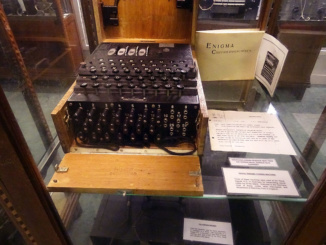 I found this most impressive as well as an original Enigma machine used to encode and decode secret messages during the war. We spent about an hour looking through the staged rooms. There was a cafe at the back of the building selling refreshments and cake. 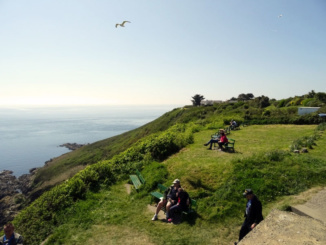 Our last stop was at Jerbourg Point, Guernsey St. Martins Parish which is a ragged cliff overlooking the ocean and overhanging the Strassbourg Naval Battery Command Bunker. 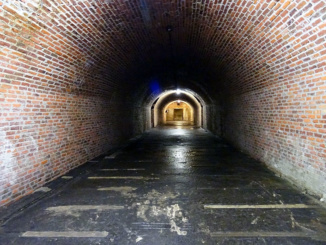 The Bunker was sealed off after the war with the structure itself being used for storage by the Hotel Jerbourg. 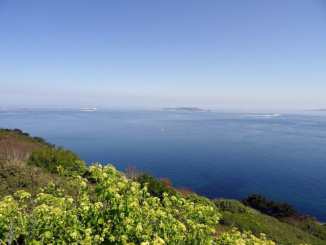 When looking out over the water, Sark Island could easily be seen in the distance.